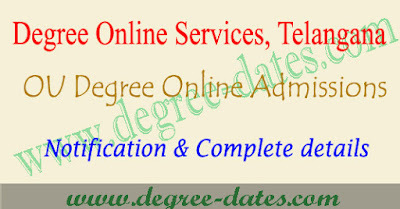 Dost OU degree admissions 2018 online application web options :Osmania University has released notification for admissions into degree courses through online.So interested candidates may apply through DOST Degree Online Services Telangana website dost.cgg.gov.in Here provide items are Dost OU degree admissions 2018, ou degree online application registration form 2018,ou degree online admission official notification 2018,web options procedure,seat allotment,certificate verification schedule and centers. Dost OU degree applications are invited for admissions into various ug courses through online mode for registration and admissions into B.A., B.Com., B.Sc., B.B.A., B.C.A., etc. courses, offered by Osmania University Government degree colleges, Aided degree colleges and Autonomous Colleges for the academic year 2018-2019. However, the interested candidates can also apply to the colleges of other five universities of Telangana they are Kakatiya University KU, Telangana University TU, Mahatma Gandhi University MGU, Satavahana University SU and Palamuru University PU. The candidates who have passed Intermediate examination of BIE Telangana or any equivalent recognized examination from other boards/states are eligible to apply through DOST website. 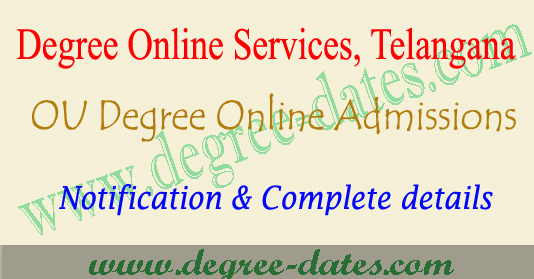 one online registration is sufficient for all the degree colleges/courses of one or more Universities.